Wrights Group Limited has released financial results for the year ending 31 December 2017, which showed an 86% decline in profit before tax. Consolidated accounts for the Group, which include each of its five UK-based subsidiaries and four overseas-based entities, showed a profit before tax of £1.51m (2016: £10.7m) on a reduced group wide turnover of £227.16m (2016: £264.38m). The total equity on the group’s balance sheet at the 2017 year-end increased to £42.33m (2016: £40.91m), with a £4.83m net cash inflow (2016 net outflow: £13.96m) from operating activities during the year. 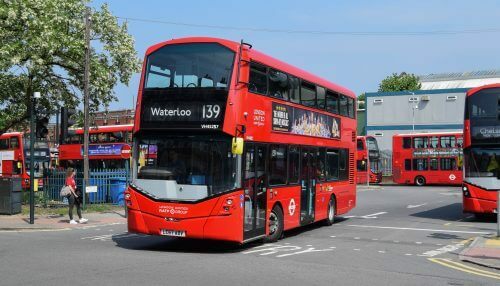 Wrightbus Ltd accounted for almost 80% of turnover across the group in 2017 – £181.33m (2016: £214.61m). It delivered a profit before tax of £5.02m (2016: £6.09m). “Our 2017 results have to be seen in the context of challenges in both the UK and our overseas markets,” said Group Finance Director Kirsty McBride. “We experienced a change in the mix in our UK business in 2017, with significant one-off costs in our overseas subsidiaries, coupled with the completion of the primary revenue generating contract in Singapore. “Notwithstanding the anticipated reduction in profit for 2017, the group continued to invest strongly in research and development to safeguard our ability to continue to compete in markets worldwide in the long term, with expenditure in 2017 standing at nearly £5m. All of this R&D spend continues to be written off against profit in the years in which it is incurred, in line with our cautious accounting policy. Chairman & CEO Mark Nodder commented: “During the course of the last year we took significant strides to open up new markets for our international business, which we are confident will diversify and strengthen our customer base. Our continued investment in new driveline technology places us at the forefront of building the best bus for the 21st Century and our move to a new 90 acre site in Ballymena has given us an industry leading production facility.